Thursday, 7 February 2019 - 11:37 am. 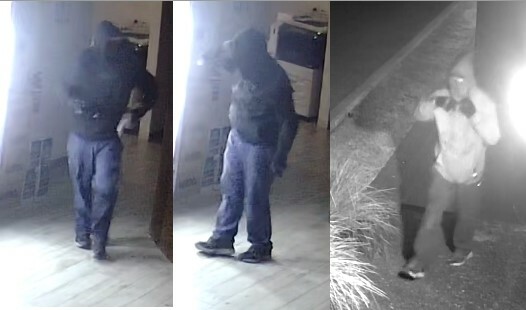 Police are seeking public assistance to identify the man pictured below in relation to a burglary that occurred at Huon Aquaculture, Parramatta Creek on 3 February. Anyone who can assist police to identify the man is asked to contact Tasmania Police on 131 444 or Crime Stoppers anonymously on 1800 333 000 or online at crimestopperstas.com.au – reference number 606343. 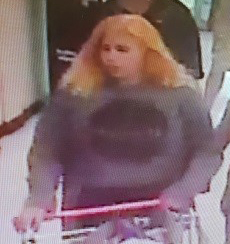 Police are seeking public assistance to identify the woman pictured below in relation to a matter that occurred at Coles, Ulverstone. Anyone who can assist police to identify the woman is asked to contact Tasmania Police on 131 444 or Crime Stoppers anonymously on 1800 333 000 or online at crimestopperstas.com.au – reference number 606173. Police would like to speak to anyone with information about the theft of the below pictured ‘army green’ coloured Yamaha scooter (registration A393Z) from North Terrance, Burnie between 1 December 2018 and 24 January 2019. Anyone with information in relation to the theft or the current location of the scooter is asked to contact Tasmania Police on 131 444 or Crime Stoppers anonymously on 1800 333 000 or online at crimestopperstas.com.au – reference number 605577. This page -- https://www.police.tas.gov.au/news/western-crime-stoppers-assistance-required-7-february-2019/ -- was last published on February 25, 2019 by the Department of Police, Fire and Emergency Management.